Another Anzac Day is just a few weeks away. It’s not the big one. 2015, in fact, will see the centennial of that dreadful exercise in military futility known in English as the Gallipoli Campaign, and to Turks as the Çanakkale War. Next year visitor numbers will be limited, I understand, to politicians, celebrities and ordinary folk lucky enough to have their number drawn in a ballot. This year, I guess, there are fewer restrictions, and the usual crowds of pilgrims from Downunder will converge on the beaches, battlefields and cemeteries where more than eleven thousand of their grandfathers left their mortal remains during eight months of bitter trench warfare. One reason I am writing this a little early is that I wanted to bisect the dates selected by Turks and Anzacs to commemorate the event. For Turks, in fact, it has passed. 18 March is when they celebrate their victory – sadly ironic for Australians and New Zealanders who remember 25 April as the day our boys first came ashore at Anzac Cove. As far as Ottoman Commanders were concerned, the major threat came from battleships of the combined French and British navies attempting to storm through the Dardanelles, heave to at the entrance to the Bosporus, train their 15 inch guns on the Sultan’s palace and offer him the chance to come out quietly with his hands up. Like many well-laid and not-so-well-laid plans of mice and men, the naval gambit didn’t come off. Three battleships (one French and two British) were sunk by the shore batteries and mines inhospitably emplaced by Ottoman defence forces. The Royal Navy and its French allies beat a strategic retreat, and Plan B was put into action. Plan B was, of course, the beach landings with which we antipodeans are more familiar. For their part the Ottomans, trusting in conventional military wisdom which favours the defenders in a marine-based invasion, backed themselves to turn it back – which they ultimately did, after eight months of fairly pointless slaughter. These days, however, what we descendants of those Anzac lads choose to commemorate is something more symbolic. At the time, of course, the British Empire was still claiming to rule the seas and an empire on which the sun never set. New Zealanders, at least, were still colonials and thinking of Britain as ‘Home’; the King and Country they were fighting for, George V and Mother England. Many of us these days, rightly or wrongly, look upon 25 April 1915 as the date we began to grow up as a nation, to cut the imperial apron strings and to forge our own identity. The brave young men who performed above and beyond the call of duty in those Gallipoli valleys and on the ridges planted the seeds of independence and self-determination in our national psyche. The actual day of commemoration in Turkey may be different, but that bloody struggle has an equally important place in the popular consciousness. Defeat in the First World War heralded the end of the 600-year Ottoman Empire. Victory in the Çanakkale War marked the beginning of the rise of Mustafa Kemal who went on to lead the resistance movement that turned back a military invasion, expelled occupying forces and founded the modern Republic of Turkey. 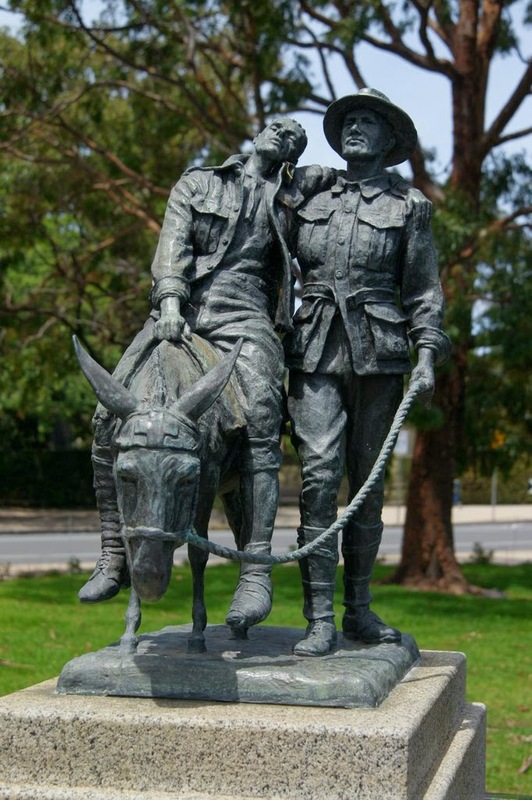 On the Anzac side, an enduring story is that of Private Simpson who, with his trusty donkey, earned fame and gratitude by ferrying wounded comrades back to the shore under constant fire in an area known as Shrapnel Gully. Prints of the man and his beast hang on walls of RSA clubrooms, and a statue by sculptor Wallace Anderson in the Australian War Memorial in Melbourne enshrines the legend. In Turkey too, statues are to be found that embody the courage and self-sacrifice of young men who managed to retain their humanity in those inhuman conditions. There is Corporal Seyit, a gunner who is reputed to have carried single-handedly three artillery shells weighing 275kg to the shore batteries silenced when the shell crane was damaged. Another, in a location known to Anzacs as Pine Ridge, immortalises the deed of a Turkish soldier who carried a wounded Allied officer to safety. According to an article in The Daily Telegraph, the officer, a captain, ‘lay in no man’s land while a ferocious battle raged around him. A white flag tied to the muzzle of a rifle appeared from a Turkish trench and the shooting suddenly stopped. A Turkish soldier climbed from the trench, picked up the officer, delivered him to the Australian lines and returned to his own side.’ The story is considered reliable since it was reported by a Lieutenant Richard Casey who later became Governor-General of Australia. “On the 99th anniversary of the Çanakkale Naval Victory, and as Anzacs prepare for ceremonies commemorating their war dead, an 89 year-old insult has come to light. A statue entitled ‘Evacuation’ in the collection of the War memorial Museum in the Australian capital city Canberra depicts an Anzac soldier leaning against a gun carriage with a Turkish flag under his feet . . . and beside the flag a human skull assumed to belong to a Turkish soldier. The gun carriage on which the Anzac soldier is leaning represents war and the disaster of Gallipoli. The Turkish flag and skull on which he is standing symbolize the territory they invaded and the enemies they killed. 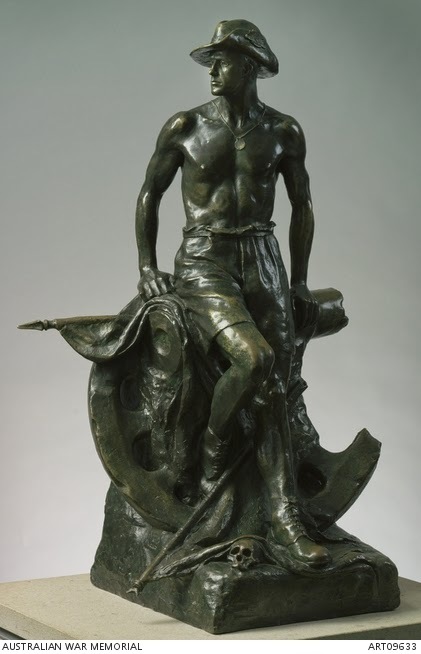 The Museum’s website contains photographs, and information that the statue was modelled in clay in 1925, moulded in plaster in 1926 and cast in bronze in Melbourne in 1927. According to notes on the website, the 82 cm-high statue was later bought by the Australian War Memorial Museum and added to its collection. While our boys during the Çanakkale War were waving a white flag to pause hostilities and behaving like gentlemen in carrying a wounded Anzac soldier back to his own trench, the continued presence of this statue in the collection after 89 years has drawn a reaction from history scholars. Well, I checked it out and it’s true. There is such a statue in the Australian War Memorial Museum, and it seems to contain the details the Turkish columnist was objecting to. The sculptor referred to earlier, Wallace Anderson, served in France during the First World War, so he had first hand experience of the conflict. Apparently he saw it as his artistic mission ‘to show the public the qualities of Australian servicemen, rather than just the details of war’. This particular piece, entitled ‘Evacuation’, according to the museum website, portrays an ‘idealised depiction of Australian manhood’, an admirable sentiment, as far as it goes. We should recognize, however, that what may have been important to Australians and New Zealanders back there in the 1920s may have been superseded by the requirements of living in the 21st century global village. One of the myths of Gallipoli, from an Allied point-of-view is that, although we were unsuccessful, we put up an almighty fight, and in the end, by remarkable feats of ingenuity and cunning, managed to spirit ourselves away from under the noses of the Turkish gunners without major loss of life. 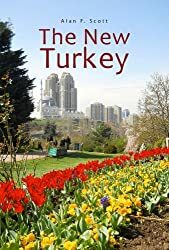 It is just possible, however, that those Ottoman commanders, seeing the invaders were obviously intent on vacating the premises, and buggering off back to wherever they had come from, elected to let them go without inflicting more unnecessary casualties. It may have been deemed necessary, in Australia in 1925, to maintain the myth by suggesting that, in spite of the manifest failure of the Gallipoli invasion, our boys had trampled on the Turkish flag and inflicted heavy casualties on those young men defending their homeland – but 90 years on we may want to accept that such jingoistic imperialism belongs, at best, to the footnotes of history. Interestingly, there is very little information about this book online – it seems to be out of print and I was unable to find an in-depth review. How many years must pass before we are able to view historical events with dispassionate objectivity? Very occasionally we are permitted a glimpse into a ‘familiar’ event through the eyes of another observer – and the experience can be sobering. I read another Turkish source suggesting that, if the invasion of Gallipoli had succeeded and Allied forces had been able to supply and reinvigorate the Czarist Russian military, as was their aim, the Bolshevik Revolution might have been delayed and perhaps never have occurred. The red tide of British Imperialism might have flowed a little longer – and that of Soviet Communism faded before it began. The world might have been spared the mindlessly suffocating half-century of Cold War threats and posturing. History is full of ‘Ifs’ and ‘might-have-beens’ . . . and it’s worth remembering that there are at least two sides to every story. This entry was posted in ANZAC, Atatürk MK, Çanakkale, Chunuk Bair, First World War, Gallipoli, museums, New Zealand, Ottoman Empire. Bookmark the permalink. Just a small correction. The statue you show of Simpson is the one by Anderson at the Shrine of Remembrance in Melbourne, The Australian War memorial is in Canberra but also has a statue of Simpson by Peter Corlett. Whichever city you visit the statues are equally beautiful and poignant tributes. Love your blog. Thanks for putting me straight – and for the appreciative comment. Cheers.